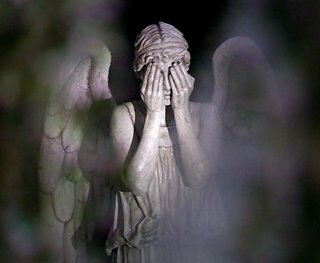 The Weeping Angels were a species of quantum-locked humanoids, so called because their unique nature necessitated that they often covered their faces with their hands to prevent trapping each other in petrified form for eternity by looking at one another. This gave the Weeping Angels their distinct “weeping” appearance. They were known for being murderous psychopaths, eradicating their victims “mercifully” by dropping them into the past and letting them live out their full lives, just in a different time period. This, in turn, allowed them to live off the remaining time energy of the victim’s life. Mark Whitaker’s wife died nine years ago and he has never quite got over it. One day, he receives a strange letter in his own handwriting, saying that he has a chance to save Rebecca’s life. A few hours later, he is touched by a Weeping Angel and sent back to 1994 with only a handful of cash. It’s there that the Doctor, Amy and Rory catch up with him after detecting some wibbly-ness, and try to convince him to live out his altered life away from his younger self to avoid paradoxes. Of course, this doesn’t go to plan and there’s a paradox waiting around every corner, along with six Weeping Angels waiting for their chance to feed. This particular story has so many twists and turns, it’s a primer on the consequences of crossed timelines. There were certain things “old” Mark had to do to ensure that “young” Mark could get to where he would need to be in order to become “old Mark”. By the end everything is so convoluted and timey-wimey that I just stopped trying to make much sense of it and just enjoyed the quirky characterisation of the Eleventh Doctor and his companions. To be honest, they aren’t actually in focus much during this story which would be quite unusual in a TV episode, but it does work here. Perhaps it’s the longer and (literally) more wordy format, but the characters of Mark and Rebecca are much more developed than those in a Doctor Who episode might be. They have an adorable relationship and their whole history is played out here, from start to (probably) tragic end. Add to that the many 90’s pop culture references and this book is probably aimed more at the adult market than to younger readers, but the young ones should enjoy it as well. The story reads a lot like an episode of the show might feel, and fans of DW should enjoy this book. 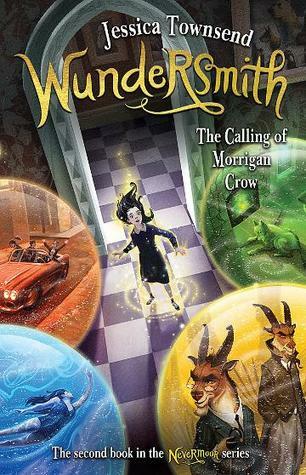 This is the first DW novel I’ve read (they’re quite hard to get a hold of!) and although I’d much rather watch the series in a visual format, I am encouraged to read more of the novels by this one. – A great Eleventh Doctor tale, but not as good as watching him on the screen!